Just days after pulling out of Nevada and downsizing its presence in Georgia, Anthem announced Friday it will not participate on Virginia's Obamacare exchange in 2018. Although Anthem was a major player in Virginia, all of the state's counties are expected to have at least one carrier on their exchanges next year. As it has said when withdrawing from other states, Anthem (ANTM) believes the Obamacare market has grown too volatile. 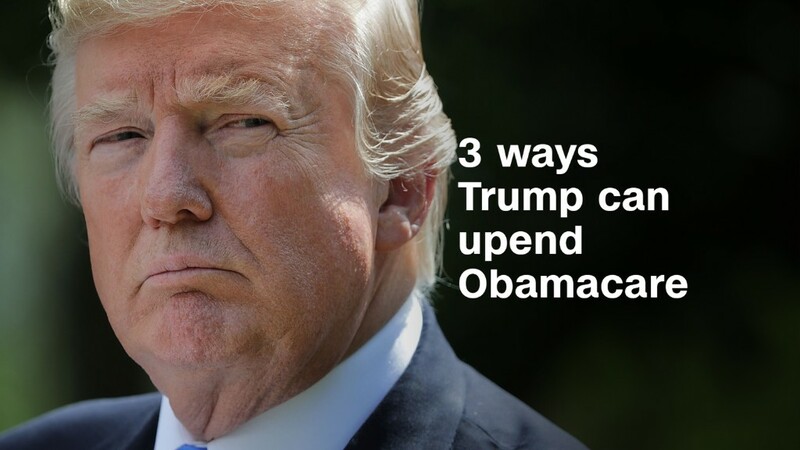 It remains concerned about whether it will continue to receive the Obamacare subsidies that reduce out-of-pocket costs for lower-income consumers. Another factor is the return of a tax on health insurers that had been temporarily suspended. "Today, planning and pricing for ACA-compliant health plans has become increasingly difficult due to a shrinking and deteriorating individual market, as well as continual changes and uncertainty in federal operations, rules and guidance, including cost sharing reduction subsidies and the restoration of taxes on fully insured coverage," the company said in a statement. Anthem, which also offers policies under the HealthKeepers name in Virginia, is one of the largest players in the Obamacare exchanges nationwide. It is in 14 states this year, but has already announced it is withdrawing fully from the exchanges in Ohio, Indiana and Wisconsin, in addition to Nevada and Virginia. And it is curtailing its presence in California and Georgia. Anthem was in 130 out of Virginia's 134 counties or cities this year, said Cynthia Cox, an associate director at the Kaiser Family Foundation. But a smaller insurer, Optima, plans to expand to 124 counties next year, from 35 now. The remaining counties will have other insurers on their exchanges. Nearly 10,000 residents in 17 counties nationwide are at risk for having no Obamacare options next year, according to the Kaiser Family Foundation -- many of them because of Anthem's exits. Anthem is the third publicly traded insurer to leave Virginia, which has a rather robust exchange. UnitedHealth (UNH) and Aetna (AET) pulled out earlier this year. Anthem had wanted to raise rates in Virginia by 38%, on average. Other insurers are expected to downsize their involvement or to hike rates further in coming weeks. Carriers have until September 5 to revise their premium requests and until September 27 to sign contracts for 2018.